Aviation Updates Philippines - National flag carrier Philippine Airlines received its ninth and tenth Boeing 777-300ER on December 16 and December 19, respectively. The delivery of the two wide-body aircraft is under a lease agreement with Aviation PLC and Boeing. BRAND NEW AIRCRAFT. Leased from Aviation PLC, the two new Boeing 777-300ER aircraft will be used for flights between Manila and North America. Photo by Travel News Daily. From the Boeing Factory in Paine Field, Everett, RP-C7781 and RP-C7782 ferried to Vancouver International Airport in Canada. Both aircraft then operated its first revenue flight from Vancouver to Manila operating as PR117 on separate dates. "The Boeing aircraft will serve our long-haul operations, a move designed to primarily enhance the total passenger travel experience and in-flight service delivery," said Jaime Bautista, PAL President and Chief Operating Officer. "While we already have eight 777s serving the West Coast, the incoming units will also augment other trans-pacific flights." Bautista added that "the Boeing 777 is our flagship for long-haul operations. With its range and operational capability, the flag carrier will be at par with other full service carriers along the route." 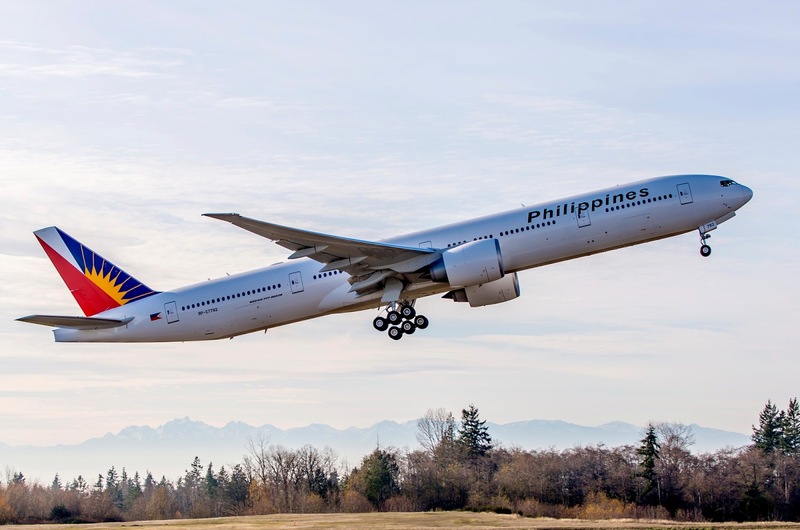 PAL announced the brand new Boeing 777s will be used for its long-haul operations between the Philippines and North America. Among other aircraft in the airline's fleet, it is the most capable and the most efficient aircraft to take on the journey to the West Coast. The new Boeing aircraft will be fitted with 42 seats in business class, and 328 seats in economy class. The Boeing 777 is currently the airline's flagship aircraft after the retirement of the Boeing 747 in 2014.